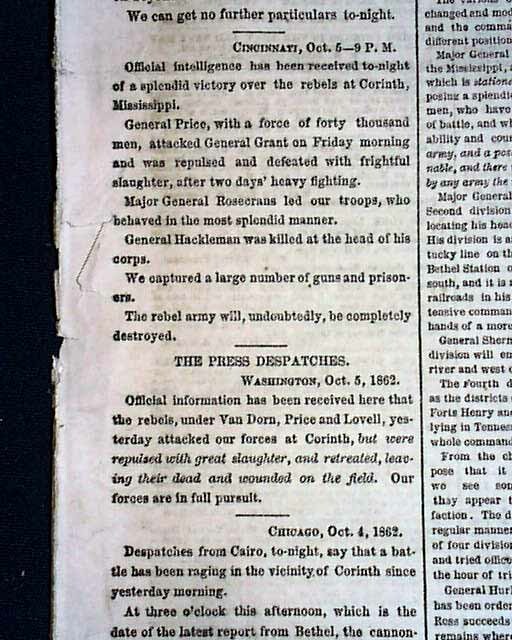 This 8 page newspaper is in nice condition (except for some margin wear) due to the use of cotton and rag paper during this very historic time in U.S. history. 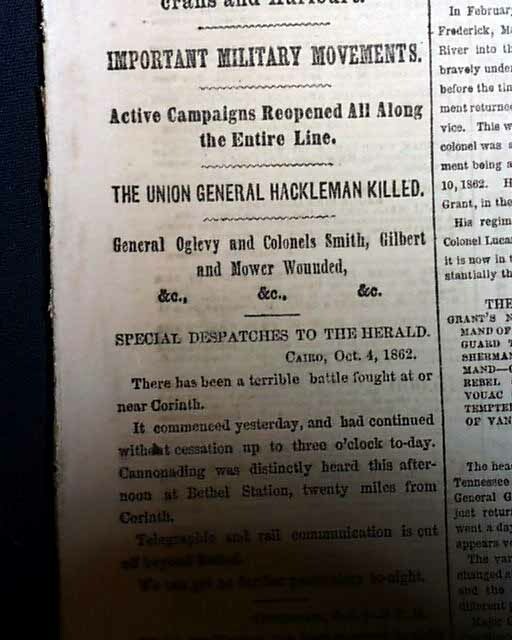 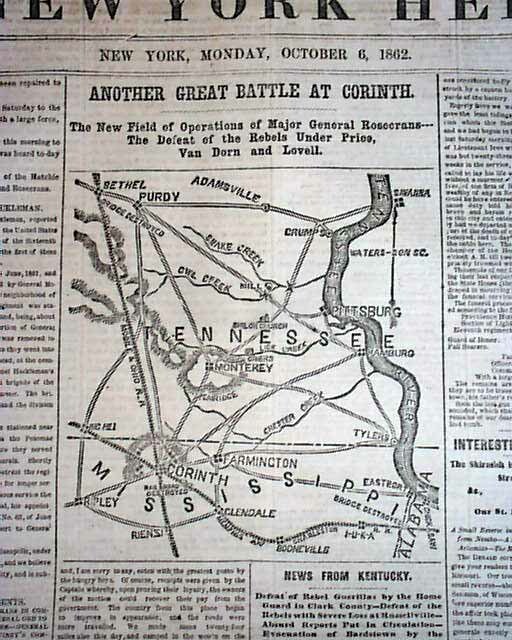 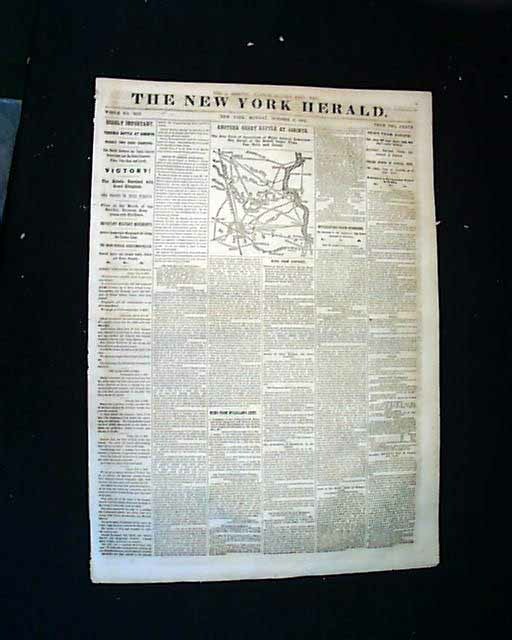 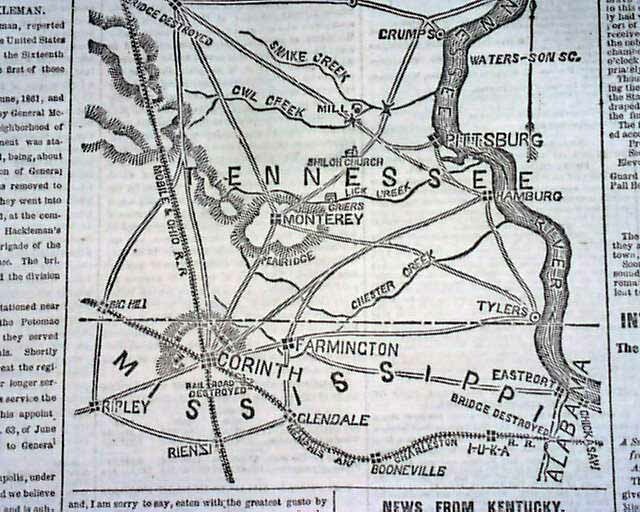 This issue is loaded with advertisements and Civil War reports throughout from the day it was first reported which includes the following FRONT PAGE Map: "ANOTHER GREAT BATTLE AT CORINTH". 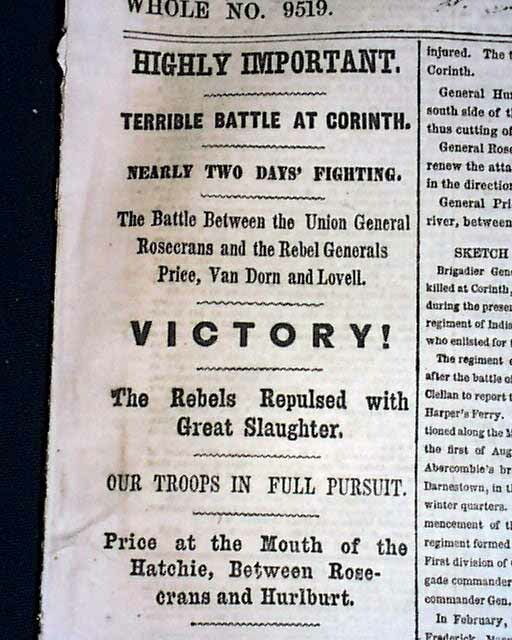 Headlines in this issue includes: "HIGHLY IMPORTANT" "TERRIBLE BATTLE AT CORINTH" "VICTORY !" 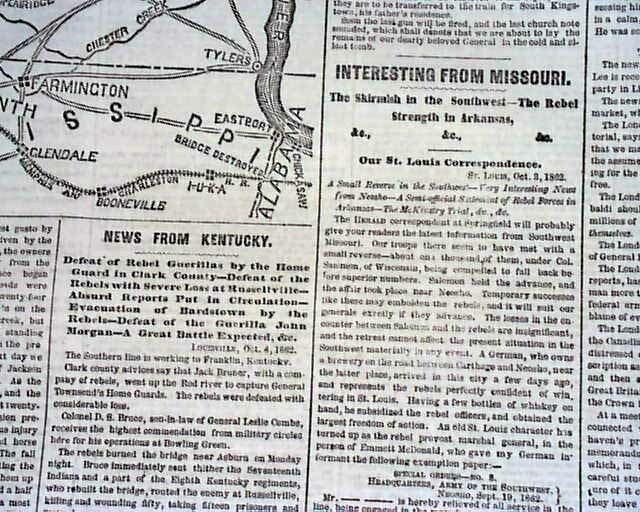 "The Rebels Repulsed with Great Slaughter" "Our Troops In Full Pursuit" "Important Military Movements" "INTERESTING FROM MISSOURI" "News From Kentucky" and much more. 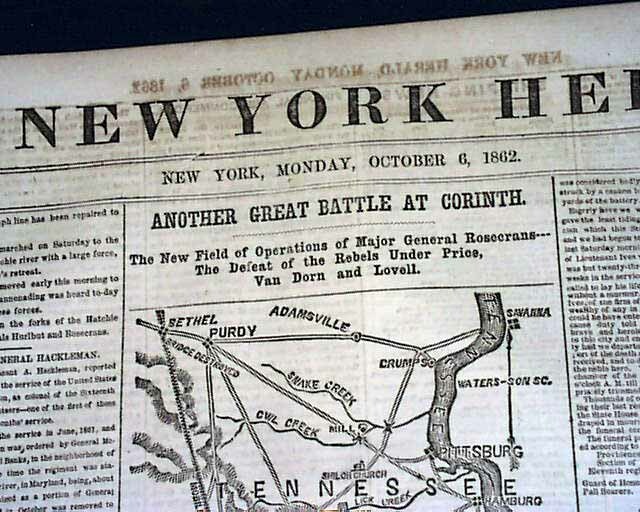 Nice to read about the Civil War as it was happening.